ISSUED ON DECEMBER 17 2016 at 5 a.m. The Gallatin National Forest Avalanche Center is issuing a Backcountry Avalanche Warning for the mountains around Cooke City. Very dangerous avalanche conditions exist and the avalanche danger is rated HIGH on all slopes. 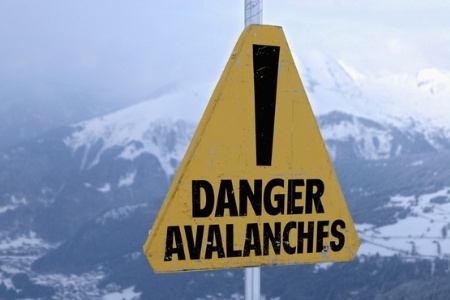 Natural and human triggered avalanches are likely today. Avalanche terrain including avalanche runout zones should be avoided. This warning will expire or be updated by 6:00 a.m. on December 18th, 2016. Bundle up out there because it’s COLD! Temperatures this morning range from -15 to -25 F with wind chills in the -30 to -40 range. With such cold temps no new snow fell overnight, but the southern mountains did pick up 3-4” during the day yesterday. Currently, skies are clear and winds are blowing 10-25 mph out of the N-NW. Today, highs will struggle to climb above zero degrees F and winds will continue to blow 10-25 mph out of the N-NW. Skies will become partly to mostly cloudy by tonight and winds will steadily increase shifting to the W-SW. However, no new snow is expected tonight or tomorrow.